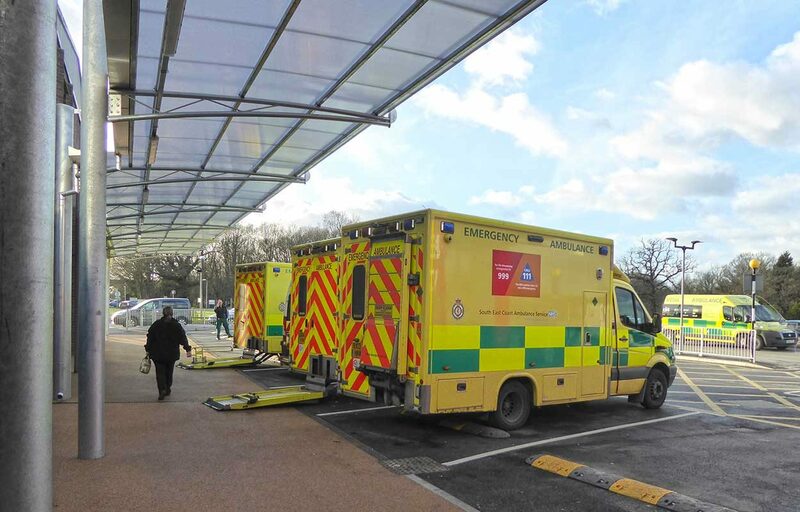 A new 30m long cantilever canopy has been built at East Surrey Hospital’s A&E department. 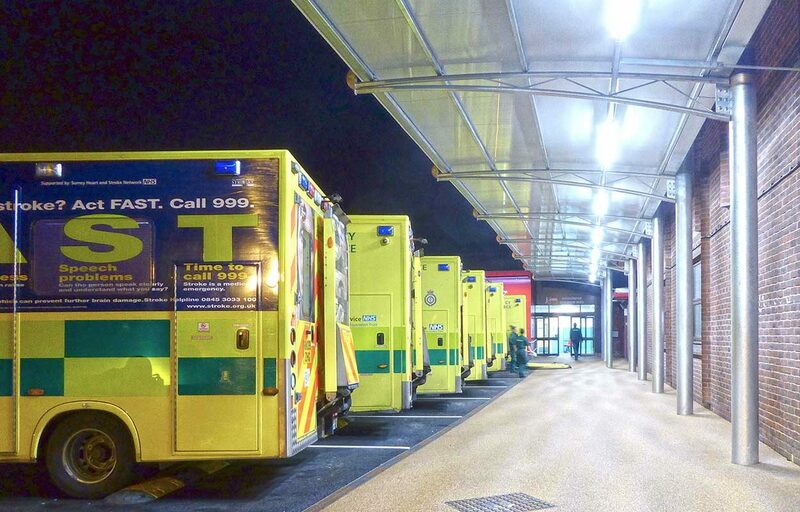 The canopy was designed to accommodate a generous unloading area for nine ambulances as part of a reconfiguration of the department. 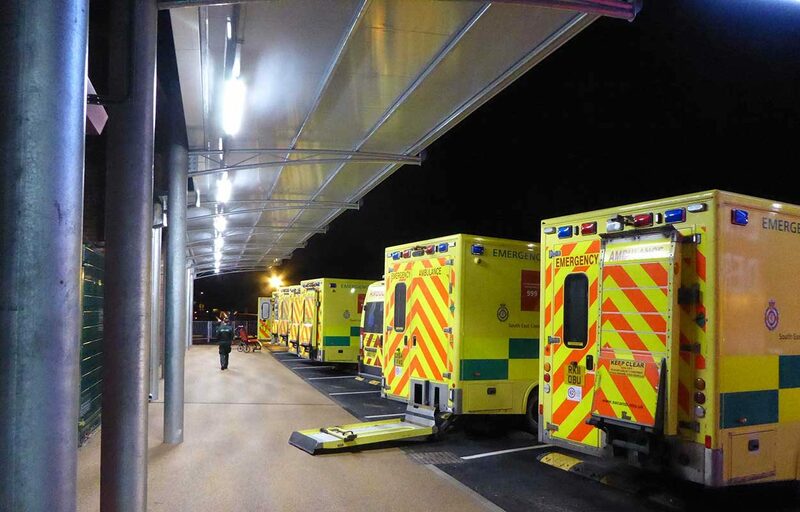 The 3.9m cantilever and 3.7m height clearance means that ambulances fit perfectly and patients are sheltered from the elements whilst being unloaded. The 30m long structure follows the adjacent building line and is stepped in plan to accommodate an existing roof overhang. 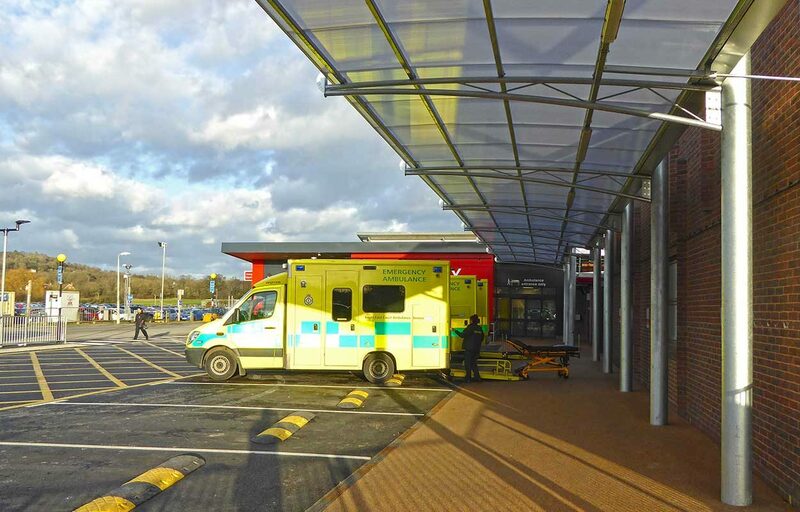 To provide continuous rain protection, the polycarbonate roof tucks neatly under the new A&E building extension that was built at the same time as the canopy. 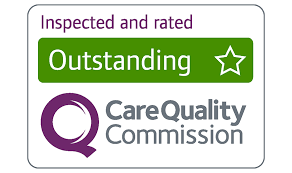 The A&E department remained open throughout construction meaning that safety was paramount to our build process. Our construction team timed the key construction elements to fall outside of the busiest periods. Roof: Hard-wearing translucent 16mm triple walled polycarbonate. This covering has a guarantee of 15 years, is fire retardant and gives high UV protection.